Payload Studios have been running The Tentacle Zone stand at EGX, Insomnia, Rezzed, Rooster Teeth Expo, MCN Comic Con and many other games shows across the UK since 2016.  The Tentacle Zone offers indie developers an affordable way to show their games at expos with full support from our friendly team. The artwork, computers, peripherals, booth, advice and show support team are all included at a cost that is always lower than organising all of them separately would be. Join us to exhibit your game at one show at a time with no extended commitment to doing any others. Ready for your game to be seen? Payload Studios Tentacle Zone is run by indie game studio Payload Studios. Copyright © Payload Studios 2019. Starboard Media.